Rhoeo The tricolor rhoeo (Rhoeo spathacea “Tricolor”) gets its distinct name from its lance-like, three-toned leaves, which feature purple undersides with hues of light pink, white and green on top. This perennial evergreen thrives in U.S. Department of Agriculture plant hardiness zones 9 through 12, where it often lends itself to pots and hanging planters. Once the plant is established, even beginning green thumbs can take care of the drought-tolerant, low-maintenance tricolor rhoeo. Water the tricolor rhoeo once per week. Water slowly and deeply down through the roots. In the plant's first growth season, it's especially important to maintain a consistent watering schedule to ensure a strong, healthy root system. During the warm months, let the topsoil dry out between waterings, but not the bottom soil. Water the plant more often in extreme heat, such as particularly warm summers. In the winter, allow the soil to dry completely between waterings. Apply a pH-balanced, general-use fertilizer in the spring season before new growth begins to appear. Throughout the spring and summer, apply the fertilizer monthly according to the manufacturer's instructions. Generally, you'll apply granular fertilizer by working it into the soil with a spading fork and watering it in. You can apply liquid fertilizer with a watering can, using amounts recommended by the fertilizer's manufacturer. 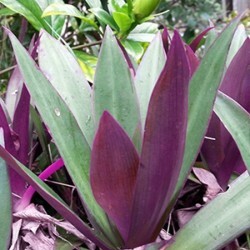 Do not fertilize tricolor rhoeo during the winter. Move the plant indoors if temperatures fall below 55 degrees Fahrenheit. If you have plants in the ground, cover them with a plastic sheet, drop cloth or blanket. 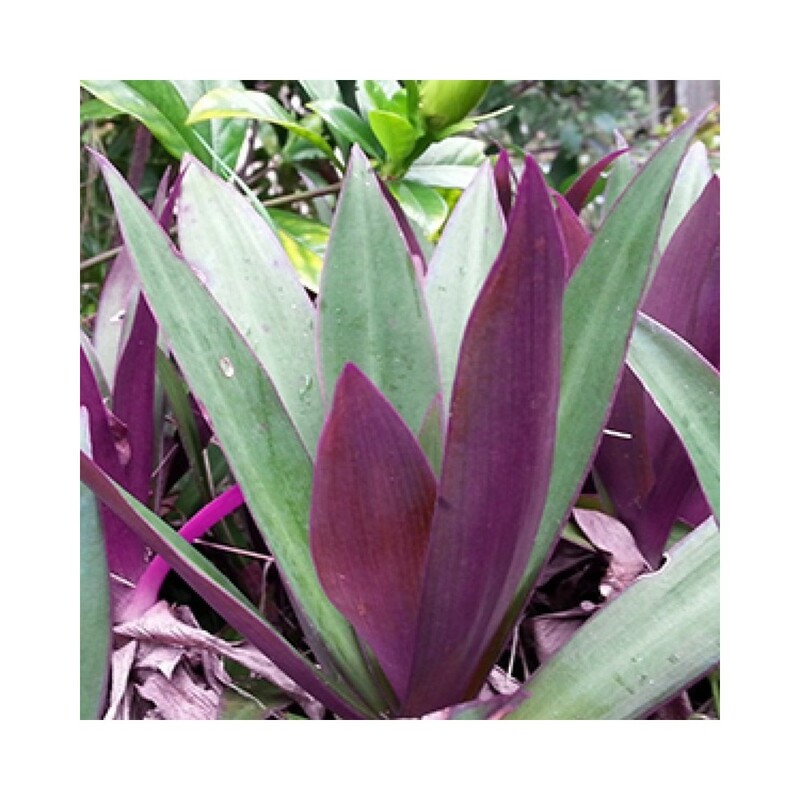 Water your tricolor rhoeo -- moist soil retains heat better than dry soil -- and then tightly stretch the sheet across the plant or plants so that it does not touch the foliage, but so that the edges of the material touch the ground. Secure the material to the ground with stakes. You may need to plant an additional stake or stick in the middle of your planting bed to keep the sheet from touching the foliage. Remove the sheet when temperatures reach above 55 degrees.